On World Health Day make few lifestyle changes for overall physical and mental well-being. Mumbai: Hypertension, is one of the leading cause of morbidity and mortality globally, especially in South East Asia. India is at the threshold of explosion of hypertension. 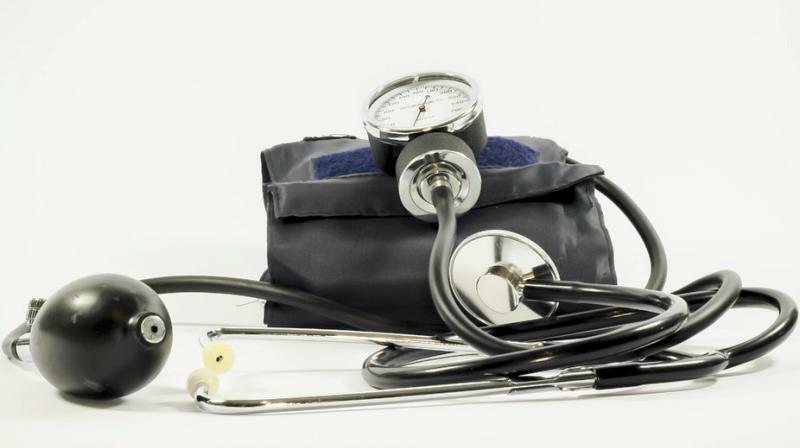 According to a recent survey, the prevalence of hypertension is about 30% of the Indian population. The prevalence among young is around 12-18% with no gender difference. This is a serious concern since the long term effect will show in the next 20 years when this group will be at their prime of life. To understand the explosion of lifestyle diseases like Hypertension and Diabetes one has to just look at the Pacific Islands of Nauru and Micronesia. A farming and fishing community, where obesity, diabetes and hypertension were unknown till1900, this country now hosts world’s largest group of diabetes (40%) obesity (60-70%) and hypertension (30%). This degeneration happened to coincide with the discovery of Phosphate and rapid industrialisation in 1900. People forfeited their land rights and lived on royalty. With the availability of refined proceed foods and sedentary lifestyle community of health deteriorated in just 30-40 years. We in India are facing a similar problem though at a slower rate. The aetiology of 97% of cases of hypertension remains unknown (essential hypertension) and only in 3% of patients, we can attribute to hormonal, vascular and kidney related factors. The first priority is awareness since hypertension is detected only if measured and it can remain silent for years. The second approach is lifestyle modification as follows. Tobacco Cessation: Atherosclerotic cardiovascular and hypertensive sequelae of tobacco in any form are well known and it is strongly advised to reduce its consumption. Salt reduction: There is no data on salt consumption in India, it is expected that the average consumer may be around 10-12 gm day. Since there is a strong correlation before high salt intake and stroke and heart disease, a recommendation of consumption of less than 5gm/day is suggested. Food Habit: Restriction of high calories, reduce intake of saturated fat, alcohol restriction is mandated. Physical inactivity: Nothing better than the phrase “Earn your bread earn your salt”. 30-45 minutes of moderate level exercise. (Swim, brisk walk or jogging) at least 5days a week can be beneficial. Yoga and meditation: The power of yoga is quite underestimated when it comes to healing. Yoga and meditation need a strong push to lead a life of mindfulness and overall physical and mental well-being. In conclusion, managing the young population is of utmost importance since they derive maximum benefit of lifestyle management. The steps were taken in the 3rd and 4th decade of life will go a long way in preventing complications of hypertension in midlife. *Disclaimer: The article has been contributed by Dr Sudhir Pillai, Consultant Cardiologist, P.D Hinduja Hospital. The opinions expressed in the article are the personal views of the author. The facts and figures appearing in the article do not reflect the views of Deccan Chronicle, and Deccan Chronicle does not assume any responsibility or liability for the same.